It’s a well-known fact in America that North Carolina has one of the most unique cities in the country — Charleston. In fact, the city’s been named America’s Best city four times in a row and voted second for the World’s Best City in 2015. Obviously, the city has a pretty awesome reputation. But what is it that makes this city so great? Is it the cobble-stone streets and lifestyle attributes, or the city’s landscapes and culture? Many factors come into play when ranking a city, but whatever it may be, Charleston is doing it right! Millions of people visit Charleston a year and leave completely satisfied. However, there are some characteristics that many seasonal travelers may overlook when visiting this popular city. Here are eight things to know before traveling to Charleston, North Carolina. A time when food trucks and music performers line the main drag on King Street, this event takes place every second Sunday of the month. Grab a bite to eat or enjoy one of the many country bands, either way Second Sundays are a great time to enjoy with the family. Sit down at one of the many hip cafés Charleston has to offer and prepare to be greeted by everyone you come in contact with. They’ll ask you how you are, strike up conversation, and probably even pay for your drink. It’s that southern hospitality that’s instilled in them, and America loves it! Ravenel Bridge gives the perfect excuse to stay in shape while spending time with your significant others. Moreover, this famous bridge not only gives you a great workout, but also leaves you speechless with its stunning view. 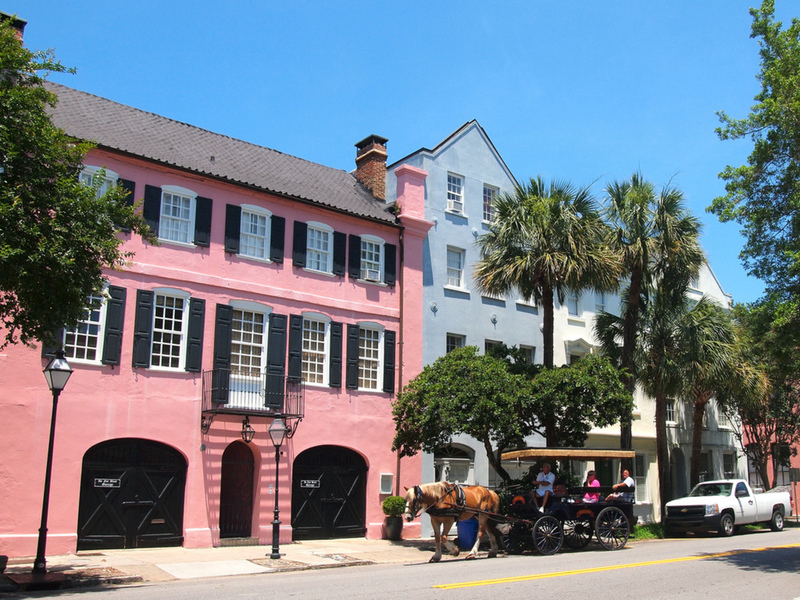 Rainbow Row is a series of 13 historical mansions in Charleston. Although the Average Joe can’t afford one of these formal residences, a girl can dream, right? A local favorite of Charleston, shrimp and grits isn’t necessarily a breakfast dish but more of a spicy evening snack. This and the she-crab soup are the city’s signature dishes, and delectable ones at that. Although Charleston isn’t the surf capital of the world, there are still plenty of waves to catch year round. Check out Sullivan’s Island or Folly Beach, located directly across from the Tides Folly Beach Hotel. There you will find the most waves and surfer dudes. If you’re searching for the Charleston surfers or just needing a day of relaxation, head to Sullivan’s Island where there’s nearly 2,000 residents and half as many houses. It’s a hotel-free zone with little development and there’s plenty of beach space for everyone. Have you ever heard of the famous street in St. Augustine, Florida? Magnolia Avenue? Well imagine that, only in South Carolina. If you’re looking for unique photo opportunities besides the cliché beach pictures, head to the streets of Charleston for the mossy oak tree landscapes.